The Phoenix dwarf galaxy lies about 1.3 million light years (400,000 parsecs)3 from Earth and is part of the Local Group of galaxies. Within the central region of the Phoenix galaxy, blue Population I4 stars have been observed. Astronomers believe that the light of Population I stars is blue and intense because the stars are very hot. According to stellar evolutionary theory, Population I stars are young. Also, a sphere of red Population II stars surrounds the central region of the Phoenix galaxy. Population II stars are generally red and thus considered to have cooler surface temperatures. According to stellar evolutionary theory, Population II stars are old. The Phoenix dwarf galaxy lies about 1.3 million light years (400,000 parsecs)3 from Earth and is part of the Local Group of galaxies. How do astronomers determine the age of a star? There is no direct method. The age is worked out based on assumptions about what stars are, how they form, and how they change over millions of years. We need to realise that these assumptions have very limited testability. No one was present to observe the stars form in the past, and no stars have been observed to form in the present. (Evolutionists claim to find evidence of ongoing star formation in various gas nebulae but none have been actually imaged, and the glowing could be heated, compressed gas. )5 Furthermore, there has not been enough time to observe any of the evolutionary changes postulated by stellar evolutionary theory. A good example of such special pleading is quasars with large red shifts (z > 3.0) that exhibit carbon monoxide and iron in their spectra. Here a similar argument is used as in the case of Phoenix. Evolutionists invoke a past generation of star formation and death in the quasar host galaxies to explain the presence of carbon monoxide and iron. Evolutionists know that if they admit the carbon monoxide or iron is primordial, ‘big bang’ nucleosynthesis has real trouble. Where does this type of reasoning stop? What would falsify the concept? So long as evolutionists can invoke a past, unseen wave of star formation, stellar evolution theory will remain intact without any holes showing up. A case in point is Quasar BR 1202-0725 in Virgo with a red shift (z) of 4.69 has been found to contain carbon monoxide. A z of 4.69 in ‘big bang’ cosmology, indicates that the object is at an immense distance from Earth (billions and billions of light years). It is considered to have formed shortly after the ‘big bang’. The issue is the presence of the ‘one generation of stars’ that ‘lived and died there’. Evolutionists invoke a past, unseen wave of star formation to rescue stellar evolution theory and ‘big bang’ nucleosynthesis realising that the existence of elements other than hydrogen and helium and lithium in the early universe contradicts ‘big bang’ cosmology. A young Earth creation cosmology can interpret this observation as indicating that something more than hydrogen, helium and lithium were present in the early universe, shortly after its origin. An appeal to a wave of unobserved star formation in the Phoenix dwarf also encounters the question, where did the Phoenix obtain the additional gas clouds needed to create these young Population I stars? The key words are ‘could have been involved.’ Such explanations should be recognised as story telling, because astronomers don’t know for sure. An alternative explanation should be obvious, namely that the Phoenix dwarf is not billions of years old but is much younger. Occam’s Razor favours the simple answer: Population I and II stars formed at about the same time. Genesis 1:14–19 and Genesis 1:31–2:3 provide a framework that can be applied to interpret the Phoenix data. Creationists could conclude that Population I and II stars are the same age, both being created on Day 4 of Creation week. This has significant implications for how the astronomical data are interpreted and for stellar evolution theory. At the present there is no consensus among young Earth creationists on this point. I prefer Occam’s Razor. When applied to Population I stars like spectral class OB stars (the largest masses on the main sequence), these would all be 1st generation. Evolutionists would claim that since the ‘big bang’, there have been thousands of generations of OB stars. Evolutionists interpret the observation of young Population I stars in the Phoenix dwarf galaxy through this framework. It should be noted that testing such claims appears to fall outside the realm of current, empirical science. In the Phoenix data for Population I stars, we see evidence in the Local Group for an abrupt-origin model. The existence of young stars contradicts the ‘big bang’ cosmology, namely the assumption of evolutionists that these small dwarf galaxies formed billions of years ago, perhaps only 1 or 2 billion years after the postulated ‘big bang’. The finding points to the Local Group dwarf galaxies being young, and not billions of years old. AstroNews, The Local Group, Astronomy 28(1):34, 2000. Return to text. Moche, D.L., Astronomy A Self-Teaching Guide, John Wiley & Sons, p. 159, 1993. Return to text. In astronomy, distances are popularly expressed in light-years (LY)—the distance that light would travel through a vacuum in one year (9.46 x 1012 km). However, astronomers more frequently use the parsec, which is equivalent to 3.262 LY. One parsec is the distance that would be subtended by an angle of one arcsec (1/3600 of a degree) across a distance of one astronomical unit. (One AU is the average distance between the earth and sun). Return to text. Stars within galaxies are classified as either Population I or Population II stars depending on a number of characteristics. For a detailed explanation see: Faulkner, D.R., The role of stellar population types in the discussion of stellar evolution, Creation Res. Soc. Quart. 30(1):8–11, 1993. Return to text. Samec, R.G., Are stars forming? Creation 19(1):5, 1996. Return to text. For detailed explanation see Faulkner, D.R. and DeYoung, D.B., Toward a creationist astronomy, Creation Res. Soc. Quart. 28(3):87–92, 1991. Return to text. 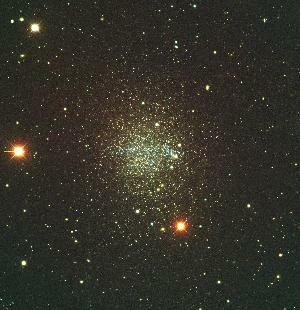 Martinez-Delgado, D., Gallart, C. and Aparicio, A., The stellar content of the Local Group dwarf galaxy Phoenix, The Astronomical Journal 118(2):862–882, 1999, as cited in the NASA ADS Astronomy Abstract Service at adswww.harvard.edu, January 2000. Return to text. Held, E.V., Saviane, I. and Momany, Y., Stellar populations in the Phoenix dwarf galaxy, Astronomy and Astrophysics 345:747–759, 1999, as cited in the NASA ADS Astronomy Abstract Service at adswww.harvard.edu January 2000. Return to text. 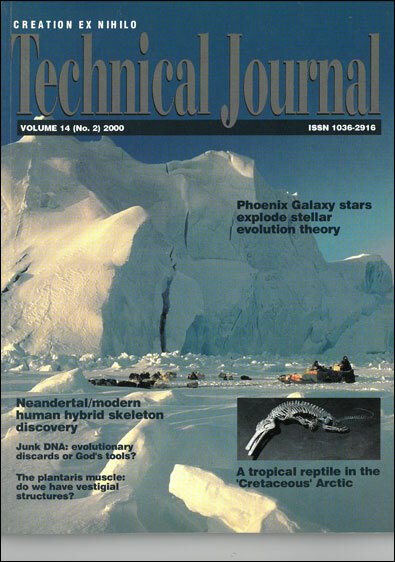 S&T NewsWire, Evidence mounts for primordial starburts, Sky & Telescope 92(4):10–11, 1996. Return to text. Iben Jr., I. and Tutukov A.V., The lives of stars: from birth to death and beyond (Part I), Sky & Telescope 94(6):39, 1997. Return to text.